Need help figuring out formula for this bread. I wanted to start a new thread for this. I need to find out the formula for this bread which is also a sandwich roll. The roll has a slight sour taste to it, the crumb is soft and chewy, the crust is thin and crunchy. The crust is the big mystery for me as it is unlike any baguette that I have made or eaten before. This crust is much thinner than a baguette which makes it great as a sandwich roll. Help please! Read more about Need help figuring out formula for this bread. Looking for a recipe from 'Frelkins'! I have just read some comments posted by 'Frelkins' about Jeffrey Hammelman's 'Horst Bandel's Bread' and a pumpernickel by Claus Meyer. The comments were posted awhile back, but the long, slow bake described sounded wonderful! I was hoping this baker could post a recipe using the long slow bake they described. Thank you. Read more about Looking for a recipe from 'Frelkins'! For New Year's Eve I decided to share this wonderful traditional Dutch cookie-recipe. 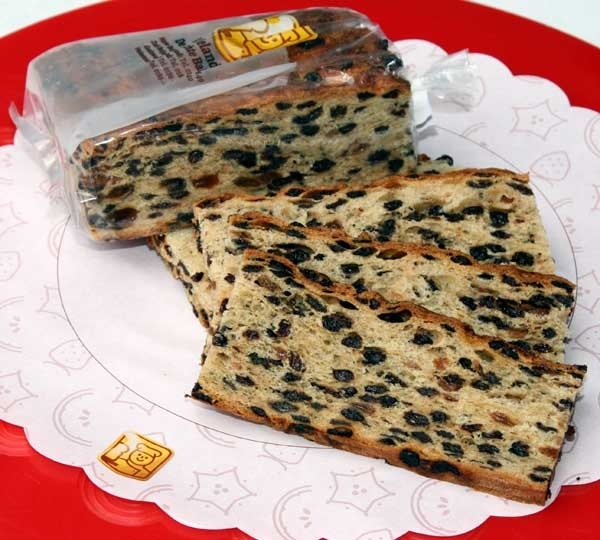 Up to this day people in the northern and eastern regions of The Netherlands eat this waferthin cookie for NewYear's Eve. They come in two varieties: flat and rolled up. The flat ones you eat the 31st of December, the rolled up ones you can eat starting the 1st of January. This recipe yields at least twice the amount shown in the picture. To make the cookies waferthin you will need a WAFER IRON. Combine the eggs, caster sugar and vanilla sugar in a large coleander. Mix at high speed over a pan of hot water ("au bain marie") until the eggs turns slightly whiter and the mixture is nice and frothy. Take the coleander away from the hot water pan. Sift the flour into the mixture. Add the melted butter little by little to form a smooth batter, about the consistency of yoghurt. The batter should "ooze" from the spoon. Add some lukewarm water if needed to get the right consistency. Spoon a dollop of batter on to the heated wafer iron and press hard for about 8-10 seconds. The wafer should come out nice and golden brown. When making flat wafers: leave on a rack to cool. 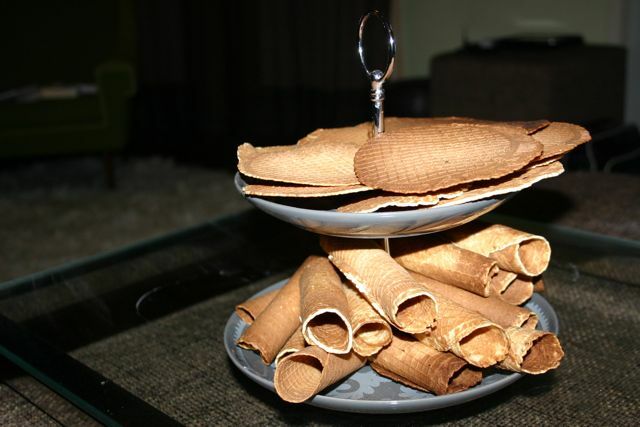 When making rolled up wafers: roll the wafer onto a fingerthick wooden ladle or thin rolling pin. Let them set for about 20 seconds and transfer to a cooling rack. Wishing all of my TFL-friends a healthy, inspiring and positive 2011! Thank you for all the feedback on my posts. I hope you will all continue to make me a better home-baker in the coming year! 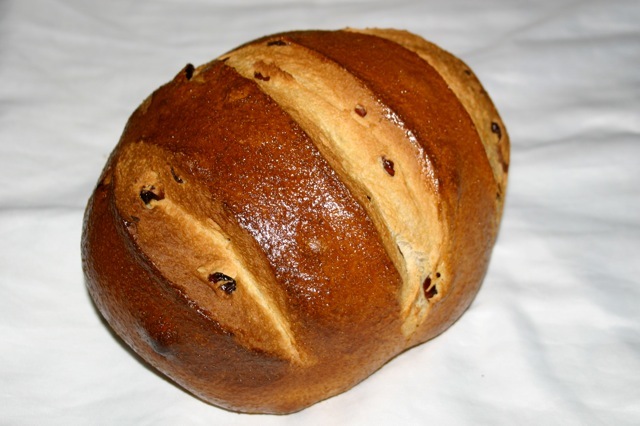 Any unique bread recipes out there? whether its unusual techniques,or ingredients you wouldn't normally use? Hey guys, I need your help! You'll have to imagine the almond paste filling in the middle, I could not find a very satisfying pic. Before embarking on this triple-fusion baking experiment I would like to hear your input on what dough to choose for this sweet bread. I've also been thinking about the dough for the cream cheese braid. Could that be a viable option? Thanks to the members here who originally posted these two recipes here. I can't really find out anymore who posted the originals, but you guys know who you are; Thanks a bunch! I'm sure that many of TFL members remember the recipe -http://www.thefreshloaf.com/node/15778/g%C3%A9rard-rubaud-miche submitted by Shiao-Ping. On November I was experimenting with the recipe-changing flours, adjusting time of proofing and fermentation. Romanos Macaroni Grill Herb Bread-Recipe Anyone? I can fill up on their Herb Bread dipped in olive oil. Does anyone happen to have a recipe for it? I figure if anyone would know, it would be one of you bread-heads. I found this recipe on line, but have not tried it yet. 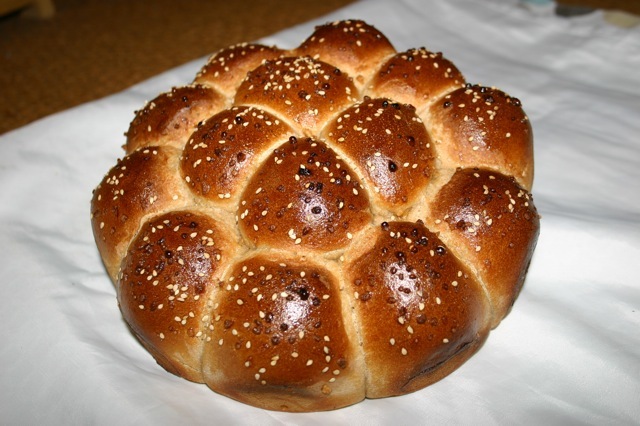 Read more about Romanos Macaroni Grill Herb Bread-Recipe Anyone? Recently I've been on a mission to really try and improve my food photography. Although I make sourdough pancakes quite often i decided to really take a stab at re-vamping my original post. 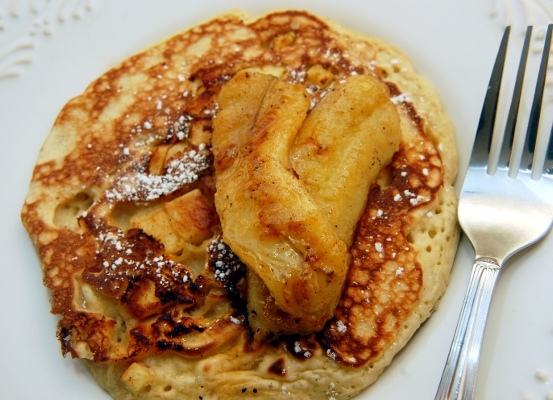 The recipe is still pretty much identical however this time I topped each pancake with some diced lightly seasoned apples. They really reminded me of traditional german Apple kuchen. They came out delicious and perfectly fluffy. We topped some with home made blueberry and cherry compote and I also caramelized some bananas. I happened to see these Vietname Bread Rolls in a Chinese supermarket in Toronto, bought some and truly liked the lightness of these rolls. Try as I might I have not been able to source a recipe for them. If anyone among the profusion of master bakers in The Fresh Loaf knows the recipe I would be truly grateful for a copy.